Helping the DNR stock muskie fingerlings in the St. Louis River Bay and the Island Lake Reservoir. Working with DNR personnel in the assessment of muskies in Island Lake of St. Louis County. Building and donating fish-holding pens for stripping eggs to be used for stocking ponds. These eggs were used in the development of a muskie fishery for Island Lake in Pine County. 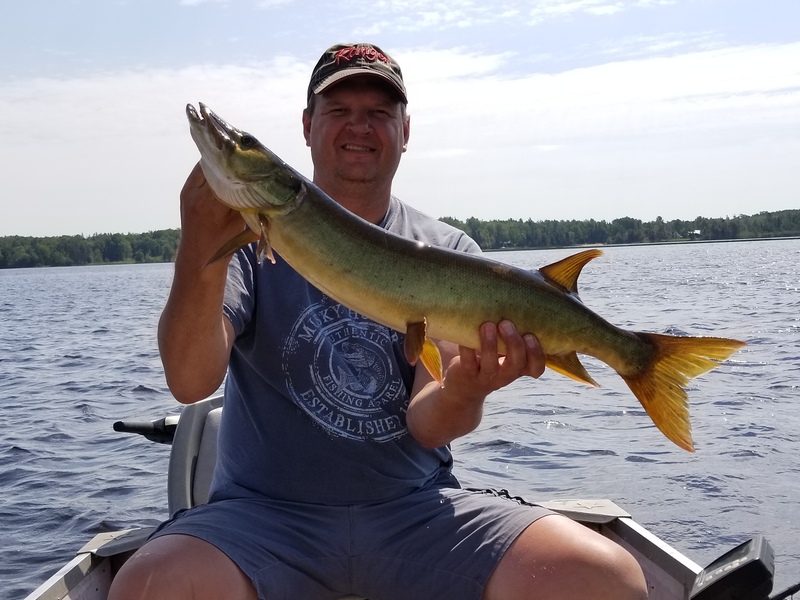 Helping the Minnesota DNR with genetic studies by collecting scale samples from the muskies caught on the St. Louis River during the last two years. Members also helped the DNR harvest muskie eggs on Leech Lake to provide for their state-wide stocking program. Purchased Muskie -trap nets and lights for the electrofishing boat to help with Muskie assessments. Purchased a PIT tag reader to help assess the Muskie population on Island Lake. We have partnered with the DNR to help assess the Muskie population in the St. Louis River. The research on-going and will continue for 2 more years. This includes groundbreaking research with isotope analysis of the tissue samples that we are collecting. Research also includes genetics, age, and movement of fish in the river. We are involved with the community and regularly speak to youth groups about the fishery and how we are involved with supporting the restoration of the river. We have a yearly Youth Fishing Contest to get kids out fishing and involved with the sport. We have been asked to speak to community organizations about the St. Louis River restoration and have also spoken about the restoration and what it means to fishing to legislative committees. Last year we organized and put on a sectional qualifier for the new Minnesota High School Muskie Tournament and sent 2 teams to the final. This was a great way to get High School kids involved. Several years ago we started a “Take a Vet Fishing” event. This has been a success and will continue in the future.